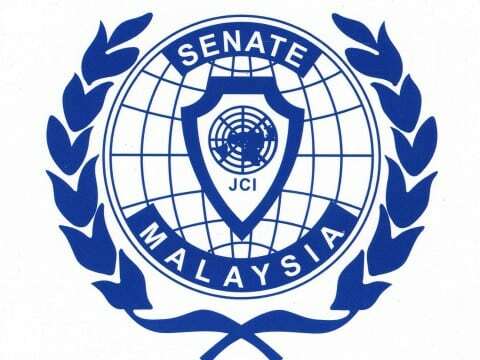 Despite my travelling and attending function around Malaysia, many were confused with the terms “Senator” and “JCI Senator”. I faced hard time to explain because I have to repeat many times. Hence, I decided to educate public: “Don’t confused between Senator & JCI Senator”. 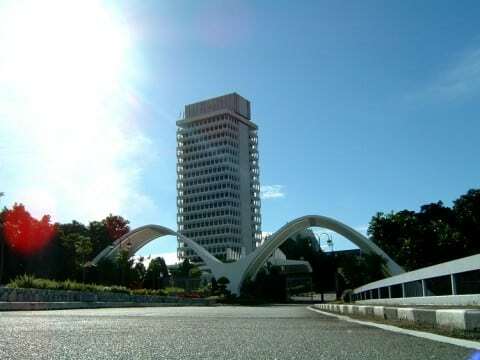 Members of the Dewan Negara are referred to as “Senators” and “Ahli Dewan Negara” (literally “member of the Dewan Negara”) in Malay. The term of office is 3 years and senators may only be re-appointed once, consecutively or non-consecutively. Each of the 13 state legislative assemblies chooses two senators. The King appoints two senators for the Federal Territory of Kuala Lumpur, and one respectively for the Federal Territories of Labuan and Putrajaya on the advice of the Prime Minister. Another 40 senators, regardless of their states, are appointed by the King, also on the Prime Minister’s advice. Federally appointed senators must have “rendered distinguished public service or have achieved distinction in the professions, commerce, industry, agriculture, cultural activities or social service or are representative of racial minorities or are capable of representing the interests of aborigines (Orang Asli). The Senate consists of 70 members. 26 members elected by the State Legislative Assembly to represent 13 states (each state represented by two members). 44 members appointed by His Majesty The King on the advice of the Prime Minister, including two members from the Federal Territory of Kuala Lumpur, and one member each from the Federal Territory of Labuan and Putrajaya. The tenure of office is a three-year term for a maximum of two terms, applicable to both federal and state appointments. The life of the Senate is not affected by the dissolution of Parliament. Senators are drawn from the ranks of persons who have rendered distinguished public services or have achieved distinction in the professions, commerce, industry, agriculture, cultural activities or social service or are representatives of racial minorities or are capable of representing the interests of Orang Asli. Every member, before taking his seat in the Senate, must take the prescribed oath before the President of the Senate. By the oath, the members swear or affirm that they will faithfully discharge their duty as members to the best of their ability, to bear true faith and allegiance to Malaysia and to preserve, protect and defend the Constitution. local, national or international level. It provides unique means for recognizing the outstanding achievements of members and former members and, at the same time, provides a platform for the extension and expansion of Junior Chamber International to more and more young people. A Senatorship confers “Life Membership” in JCI. Member organization are encourage to include a self-operative provision in their constitution that a JCI Senator shall also be a life member of the respective local and national organization (LOM and NOM). The awarding of the status does not exempt the member from paying regular membership dues to JCI, and the question of whether a Senator shall be liable for the payment of local and national dues is a matter wholly for local policy and legislation. Senatorship is restricted for members of at least 3 years standing for services at any level of this organization. He/She need not be a member at the time he/she is being considered. Should have attended at least three (3) regular National Conventions. The nominees must have been a National Officer, Director of the LO or Chairman of a successful and outstanding project that advanced the purpose of the movement. The nomination form must be completed by the nominee in duplicate and certified by the LO President. All the above must be complied with as minimum requirements before any member of the LO may be considered for Senatorship as recognition for very outstanding service to the Junior Chamber Movement. That, JCI Senatorship applicant must enclose 3 photographs. That, 2 photocopies of certificate of attendance to World Congress, ASPAC Conference, National Convention and Area LO Meeting or such other evidence as may be necessary or relevant must be enclosed with application. There are 639 JCI Senator from Malaysia. This entry was posted in Blog and tagged international, JCI, JCI Senator, malaysia, parliament, senator.